Assistant Professor, Department of Microbiology, Primeasia University. 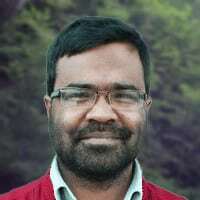 Executive Editor at Scientific Bangladesh & Member of the Global Young Academy. There is a tiny world around us. The world we can’t see or touch. However, it has a huge influence on us, both negative and positive. Small bacteria protect us and attack us all the time. Dr. Monir Uddin Ahmed from Primeasia University, Bangladesh, researches these tiny living organisms in order to make better food, and make our lives better and healthier. To make life better is his real passion, and he believes that more research and more effective leaders can improve society, and help Bangladesh to become a more developed country. Watch our interview with Dr. Monir on microbiology, research, and leadership. Monir: Hi, this is Monir Uddin Ahmed, talking from Bangladesh from the capital of Dhaka city. I have a bachelor’s and master’s degree in microbiology, a master’s degree in biotechnology, and I did my Ph.D. in microbiology in Australia. Nerina: What is so interesting about microbiology? Monir: Microbiology is very interesting because we are dealing with organisms that are not visible to the naked eye—we need a microscope to see them. But these very tiny organisms are very smart and very powerful and mostly have benefits to humans and other animals and plants. Very few cause diseases, but still, we are more concerned about their harmful effects—that is the interesting part. Nerina: What kind of positive effects do these microorganisms have? Monir: Microorganisms have a positive role in every sphere of our lives, they live in our body, and we call them normal flora. They prevent pathogenic microorganisms from colonising in our body; they prevent them from attacking our body under normal conditions by occupying a space, fighting for food, and many other things. Some even provide us with vitamins. Nerina: What was the topic of your dissertation? Monir: My Ph.D. was on an organism called Campylobacter jejuni which is one of the most frequently encountered microvillus bacterial pathogen in the food industry; especially in milk, water, and meat. Globally, it causes a very large number of infections every year. Nerina: So, you wrote that you want to make life better by making food better? Monir: Yes, because we cannot live without food, so if foods are safer, then our lives become safer. We have to make food safe from microorganisms, especially bacterial pathogens which can easily get into foods—this is a global public health problem in both developing and developed countries. For example, Australia and New Zealand had the highest number of Campylobacter infections in the world; both of them are developed countries, but in our country, we have a slightly different problem. In developed countries, infection comes from meat mostly, but in developing countries like ours, it is from water and milk. My research interest was India—finding the source of infection—if we can find the source of infection, we can find ideas of how to prevent the bacteria from entering foods. Nerina: You also initiated a science magazine? Monir: Yes, I have started a science magazine which is online only and bilingual. I would say that it is the only serious science magazine in Bangladesh. We want to talk more about the policy level and review how our research organisations are performing. Since 2011 we have been publishing a review of science publications in Bangladesh; how many articles are published, which organisation is at the top, and also, which scientist is at the top. Nerina: What is the purpose of this magazine? Monir: I’m dreaming about developed Bangladesh. The theme of our scientific Bangladesh magazine is a science review for developed Bangladesh. Actually, our mission is a science review for developing Bangladesh. We want to see Bangladesh as a developed country; and we believe that in reviewing its scientific performance, and government and non-government associations, we can contribute a lot to that field. Nerina: How relevant is research for a developing country, like Bangladesh, in your opinion? Monir: As far as we can say, research is relevant because research means finding a solution to a problem. In a country, especially a developing one like Bangladesh which is highly populated and overcrowded, we have more problems in comparison to other countries. We have different problems, so we have to find our own solution to those problems—be it social, microbiological, physical science, whatever it is—to reduce the problems and make our lives better, healthier, and prosperous—we don’t have any way other than research. Nerina: How relevant is research from a developing country, like Bangladesh? Monir: Scientists have the same role in both developed and developing countries—they have to play a dual role; one is working in the laboratory finding the solution of the national and global problem, and communicate the solution to the public, to other scientists, and to the policy makers. By playing this dual role, I think scientists can really bring changes. If they don’t emphasise both types of roles, it’s very difficult to bring any changes to the society or the country because there are lots of solutions and findings sitting in the laboratory that are not commercialised or communicated to the people or the policy makers. Nerina: What are the main challenges that researchers are facing in Bangladesh? Monir: First of all, the lack of sufficient funding. Secondly, we have issues with leadership in the scientific area. Thirdly, we are lacking in infrastructure (the technological side) — we have issues with lab facilities, instruments for laboratories, and consumables for laboratories. These are three areas where we have to make improvements. Nerina: What should or could be done in order to improve the situation? Monir: I think we have to focus both on improving the technical facilities in the laboratory and leadership skills of the scientists equally. Because we might have technical facilities, but if we don’t have the leadership to run the laboratories properly, we will not utilise the funds and technical facilities properly. The limited facilities that we have, I’d say we are not utilising with more than 50% efficiency because we have poor leadership everywhere, especially in the scientific area. So if we can improve leadership, we can make better use of our money and human resources—our intelligence and merits. Without focusing on that area, we cannot improve. Actually with whatever area we are talking about, be it politics or science, improvement or progress is proportional to the quality of leadership. Nerina: What does leadership mean to you? Monir: In one word; leadership is influence. I have my own definition of leadership; because that’s my area of interest, and I’m writing a book about leadership in Bangladesh. So my definition is leadership is influencing people to act to achieve goals. Whenever a scientist is working they have a goal; to achieve that goal they have to influence other scientists to work because research cannot be done alone. Actually, hardly anything can be done alone. Nerina: In your opinion, what does a researcher need in order to become a good leader? Monir: The first point is communication skills. The second point is specific goal setting—what I want to do and by when. If we don’t have any goals, then things will not actually go anywhere. The third point that’s important is that we want to contribute to our community and the world. If we can find a solution to a problem, it will be used throughout the world. It will not be limited to any specific area or country, though we might try to distribute technology, it’s very difficult, so scientific discovery by anyone of any race, colour, and nationality, that is the asset of the community and the world. We have to think about that one; that we are making a contribution to the community and it has a long lasting impact. Nerina: If you had all the money and the power you could imagine and you could change something, what would you change? Monir: I would like to do something that will have impact generation after generation. I’ll increase the investment in research and education as it is said that investment in self-development is the best investment; for individuals and as a nation. I’ll invest that money in the development of people; that is their psychological and intellectual development. In other words, I can say I’ll invest in leadership development in every single person in the country and the whole world. Monir: Actually, motivation is that… As a Muslim, we believe that we have life after death, and there are two options—either we go to heaven or hell. It depends on our activities. There are two types; one is worshipping God, or Allah—that will be finished when I die—but also if I do anything for humanity that is affecting the lives of humans, I’ll get benefit from that. So people may not be aware of what I’m doing or how my work is affecting their lives, but it will continue. That is called, in my religious language, “Sadqa e Jariah”, which means your charity will continue even after you are dead. So I see it this way, this is the driving force behind trying to bring changes or influencing lives of people. Monir: I have a dream of a just society where everyone will be treated with justice because without justice we cannot have peace and prosperity. Nerina: What would you tell a teenager in Bangladesh who would like to become a researcher? Monir: I would say try to know your field of interest, find your interest, be it social, political or natural science, and then focus on solving problems in people’s lives. There is no greater contentment than solving problems for people, so if you really want to enjoy that contentment, then you can be a researcher. Nerina: Thank you so much, Monir. Monir: Thank you Nerina for calling from Sweden and giving me the opportunity to share my ideas and experiences, and convey my message to people, politicians, and teenagers in my country. Thank you very much.